1. Open the Lotus Notes, and then go to File menu, Perferences. 2. In the Perferences dialog box. 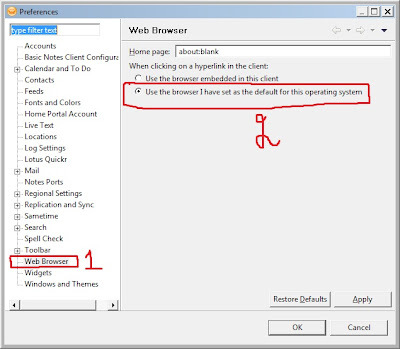 go to Web Browser menu. 3. 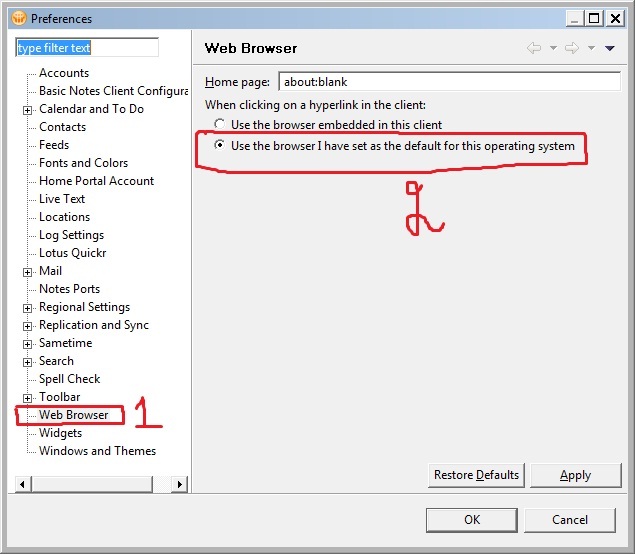 Select "use the browser I have set as the default for this operating system", and then click OK. Even though I have Internet Explorer as default browser, Notes still opens links in Firefox. MacBook Air : What's in the box ?